And so it happened – In November 2014, Chris’ dream came true and the renovation of the Alte Schule Hohenstein (a former schoolhouse) began. It’s not as it seems – Chris did not enforce the demand that Requirements Engineering is to be taught from grade 5 on. 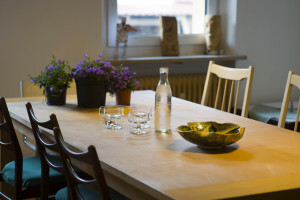 Chris and Roland Kluge transformed an old schoolhouse in Hohenstein (the extremely idyllic and highest situated village in Middle Franconia) into an artist residency. 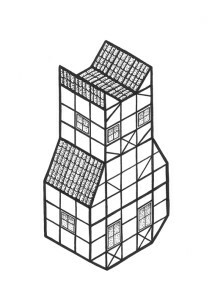 The association “Alte Schule Hohenstein – Verein zur Förderung von Kunst und Kultur e.V.“ offers artists in most different disciplines and from most different origins a temporary home. The Alte Schule Hohenstein is a place for encounter – with people, arts and culture. 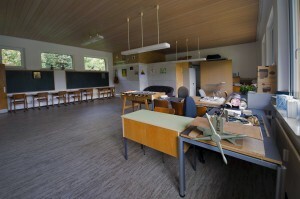 The artists (or „schoolmasters“, that’s how we call the residents of the Alte Schule) stay from 3 to 12 months in the Alte Schule. They can work in total freedom on their particular projects. 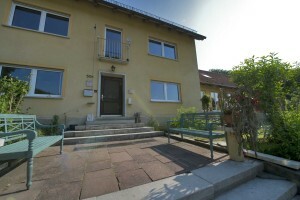 The association covers the costs for accommodation and permanent costs. And now the SOPHISTs come into play as the artists can apply for an additional contribution for covering the costs of living. The artists apply for a grant provided by the SOPHIST GmbH. In return, the artist leaves a piece of art, which has been created during the stay at the Alte Schule, to the SOPHIST GmbH. The first artist moved in in July 2015 and stayed for 3 months. 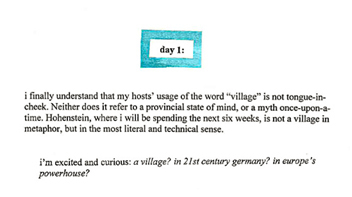 Olivia Tun, a writer from New York and, by now, graduate of the Columbia University, worked on her first novella in Hohenstein. If you’re interested, here is more information on Olivia. 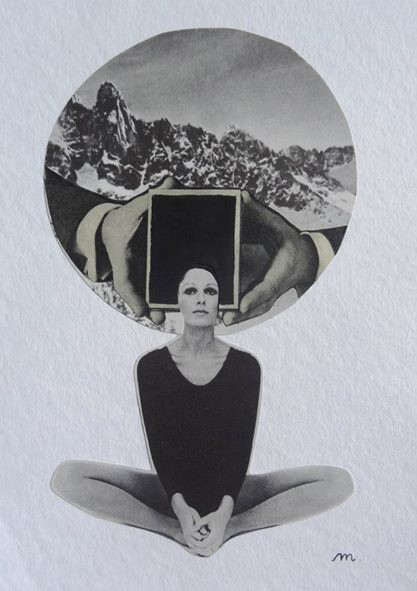 In September, two more artists arrived – their focus: collages. Claudio Beorchia is from Italy, near Venice. 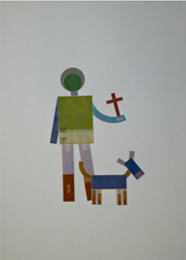 He studied Design and Visual Arts in Venice and Milan and received his Ph.D.
Two examples of Claudio’s projects. 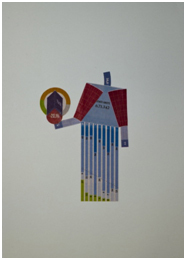 The challenge: create saints out of charts from economics- and financial magazines! 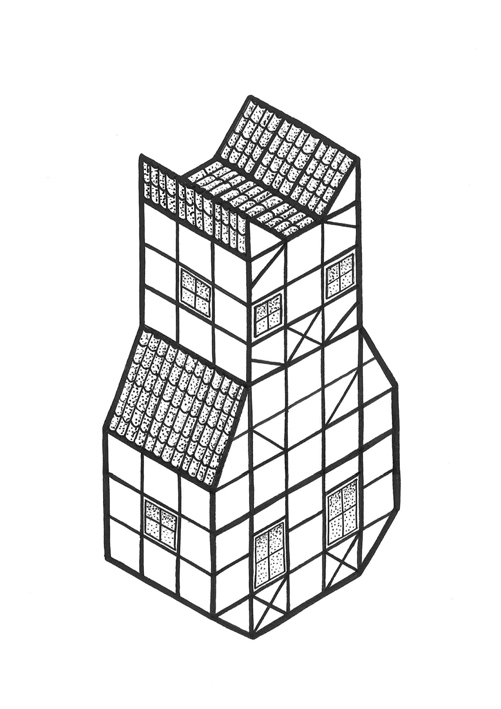 In return for the grant, Claudio gave the SOPHIST GmbH a piece of art which might have been inspired by Hohenstein’s half-timbered houses: the half-timbered cat! Maruša Štibelj comes from Slovenia and has studied art education. Collages and illustrations have become her passion. 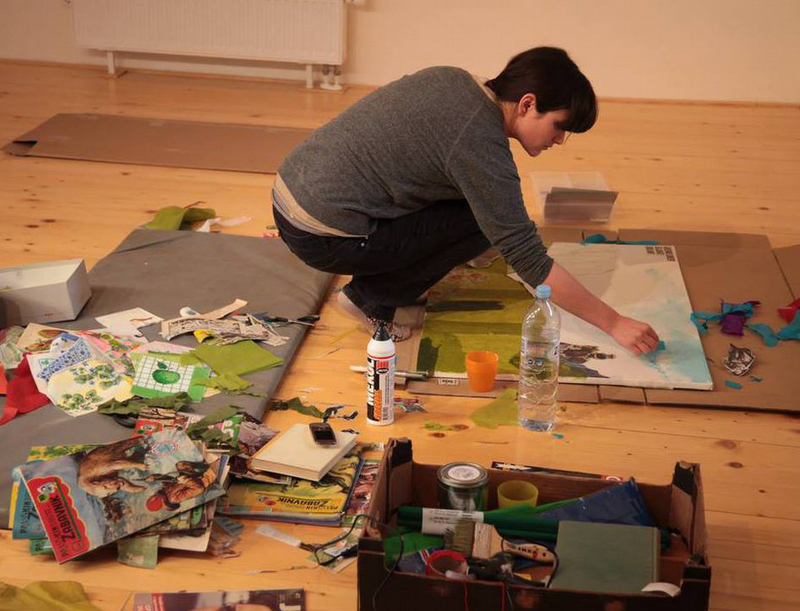 Claudio and Maruša have most different approaches to composing collages (this is also reflected in the tidiness of their respective work places in the studio ;-)) and thus, they could perfectly inspire each other in the last few months. Maruša will stay and work at the Alte Schule until the end of December. Maruša in action and a finished collage. Please follow the link for more information on Claudio and Maruša. In the beginning of next year, Shengpeng and Kyunghee Song from China will move to the Alte Schule. They will dedicate themselves to painting projects. You can find recent projects and more information on their website. Isabel Cuesta Camacho is a choreographer and journalist born in Colombia. After working in Frankfurt, London and Berlin, she will come to Hohenstein in the beginning of next year (London? Berlin? Hohenstein is the place to be ;-)). Here is her website. The Alte Schule is a place for exchange – that’s why, from time to time, there are great events with the artists. Stay tuned by having a glance at the Website of the Alte Schule.